Not too sure if somebody has mentioned this in here already so I just thought I'd add anyway. I haven't played the 1st game either so not too familiar with the terms mentioned in relation to this game either, just posting for people as a heads up! A number of players are reporting a Borderlands 2 glitch that wipes out their hard earned Badass Rank. Gearbox says its investigating. One of the many marvelously user-friendly features in Gearbox’s Borderlands 2 is the Badass Rank. Slowly unlocked perks separate from your character’s level and skillset, the Badass Rank is an elegant version of the New Game+. Borderlands 2 is a lengthy, involved game, but you’re going to want to start new characters depending on who you’re playing with, and the Badass Rank ties to any character you create, giving you a base level of improving stats that make revisiting the game from different angles accessible without making it too easy and boring. Smart stuff. Too bad there’s a bug in the game that will wipe out your Badass Rank. A number of users in Gearbox’s official forums have reported a problem where their Badass Rank is set back to zero and all the associated bonuses, including the stat boosts and unlocked character customization options, are wiped away. Compounding the problem is the fact that the challenges that raise the Badass Rank (e.g. shoot this many enemies, collect this many guns, etc.) aren’t reset alongside the rank itself so affected players can’t simply rebuild what’s been lost. While the initial report about the problem was from a player on the Xbox 360 version, others playing the PC and PlayStation 3 versions of the game have also reported the same problem. The original Borderlands was no stranger to glitches like this when it released in 2009. At least the Borderlands 2 glitch only erases the Badass Rank and its associated perks. The Borderlands glitch erased everything. When players would leave a multiplayer game on Xbox 360, PlayStation 3, or PC they would lose all their weapons proficiencies and skill points, and though the proficiencies could be rebuilt, the skill points were erased forever meaning that they needed to restart the entire game. Gearbox fixed that problem eventually though, and this new glitch will definitely be addressed. Players affected by the Borderlands 2 glitch should take comfort in the fact that their lost Badass Rank might even be salvageable since the challenges that earn the rank aren’t reset. I heard of it. It hasn't happened to me but it makes the game feel like I'm playing Russian Rollette with my progress. My suggestion would be, if you have a MU or "Cloud Storage" - maybe back up a copy of your save after each play session onto one or both (just in case). I didn't run into any problems with the first Borderlands, but I believe I didn't play the game until the update had been applied. I can't say if the "backup" restore technique works, since I haven't run into the issue, but it's an option to try. The only problem I've run into is a side mission that just won't allow me to close it out for some reason. "Do No Harm" keeps telling me to talk to Tannis in Sanctuary, but each time I talk to her she asks how the mission is going... I'm thinking that might be addressed in the update also, since I've read on the forums that it's a common bug. On the main menu of the game, go to extras and select shift code. You'll be promted to sign up for Gearbox Shift. Sign up and you get a golden key and, if the discription is accurate, more goodies in the future. Just remember not to use that key too early...especially since you only get one shot at it, (from what I've heard) regardless of whether or not you start a new game with a new character. I've reset my skilltree at least 3 times, and each time I've been happy with the results. It's fairly cheap, so don't be afraid to experiment. It's very easy to accidentally use your key(s) if you're not careful. There's no "are you sure?" prompt or anything, you simply open the special gold loot chest the same as any ordinary chest. Keep that in mind. I'm not using the key until I reach level 45 or 50. In other news, I don't like pubs. Most of the dudes I've encountered are micless loot snipers. 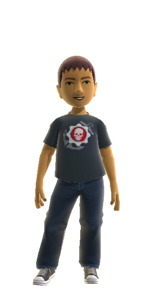 If you see me on the 360DF XBox gamertag on you can send an invite. I'm mainly playing as a Commando. You're the only Commando I've discovered so far. I play as a Siren (as I did in the 1st). If I run across anymore Commando skins/heads, I'll send them your way. Mechanomancer's out. Anyone check her out yet? She'll be my next character after I finish my Siren playthrough.